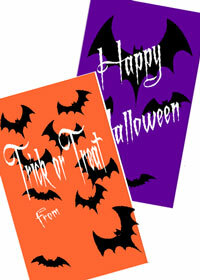 These printable paper craft Halloween treat bags are easy to make and come in two sizes. 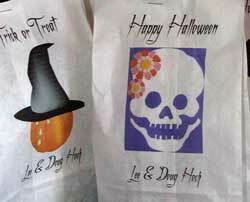 The printables for making these candy bags are both in Adobe PDF format. Simply print, cut out and glue your bags together with glue stick or paper adhesive. The small size bags will print on a sheet of standard letter size 8.5x11 paper. If you have a large format printer that can print on 11x17 paper sheets, choose the large size bag craft sheet printable. You might also find our instructions for printing your own treat bags on flat paper lunch bags helpful. I purchased White Flat Bottom Paper Bags to make the bags shown below. 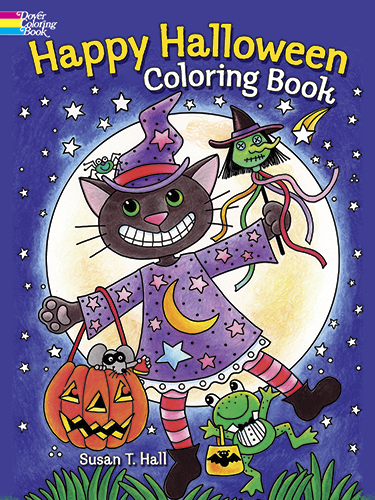 Find full how-to here.